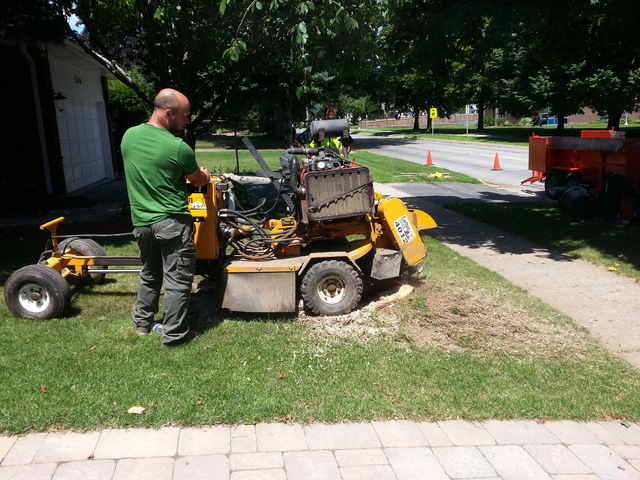 Urban Canopy Tree Services has been providing safe tree removal and tree limbing to homeowners and businesses in Hamilton, Burlington, Oakville, Stoney Creek, Dundas, and beyond since 2012. Urban Canopy is owned by Gavin Sadler and operated along with a small group of employees. As an owner-operated local independent business, Urban Canopy is interested in making sure tree service customers are happy with the results. To see for yourself, read independent reviews at HomeStars and YellowPages.ca. Through private insurance and Workplace Safety and Insurance Board. A member of the International Society of Arboriculture (ISA). We respect your time and property when performing our tree services. We are courteous and provide honest advice when quoting and working. Gavin was quick to respond to my request for an estimate for tree removal and I heard back within a day (email) with a fair quote. I appreciated I did not have to take time off work to meet with him, and he worked well with email and phone discussions before the job was finalized. He left the backyard in great condition after, and we were very pleased with the results! We would absolutely recommend him and we&apos;re happy to support a local company! 246 James St. South, Hamilton, Ontario. Hamilton, Ancaster, Dundas, Stoney Creek, Flamborough, Burlington, Oakville, and Surrounding Areas in Ontario. Copyright © 2016, Urban Canopy Tree Services.